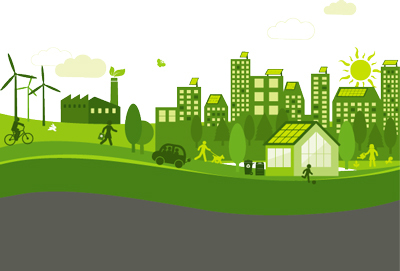 On 21 May, the On 21 May, the EU Green Week 2018 starts with the theme of helping cities to become better places to live and work. Showcasing policy developments on air quality, noise, nature and biodiversity, waste and water management, Green Week aims at promoting participatory approaches to urban development, networking schemes, and tools for sharing best practices, engaging local authorities and citizens, and encouraging them to share their vision of a sustainable future. The week officially opens on 21/5 in Utrecht, Netherlands with a Citizens' dialogue with Commissioner Vella. The high level EU Green Cities Summit will take place in Brussels, 22-24/5 and the week will close on 25/5 in Madrid starts with the theme of helping cities to become better places to live and work. Showcasing policy developments on air quality, noise, nature and biodiversity, waste and water management, Green Week aims at promoting participatory approaches to urban development, networking schemes, and tools for sharing best practices, engaging local authorities and citizens, and encouraging them to share their vision of a sustainable future. The week officially opens on 21/5 in Utrecht, Netherlands with a Citizens' dialogue with Commissioner Vella. The high level EU Green Cities Summit will take place in Brussels, 22-24/5 and the week will close on 25/5 in Madrid.